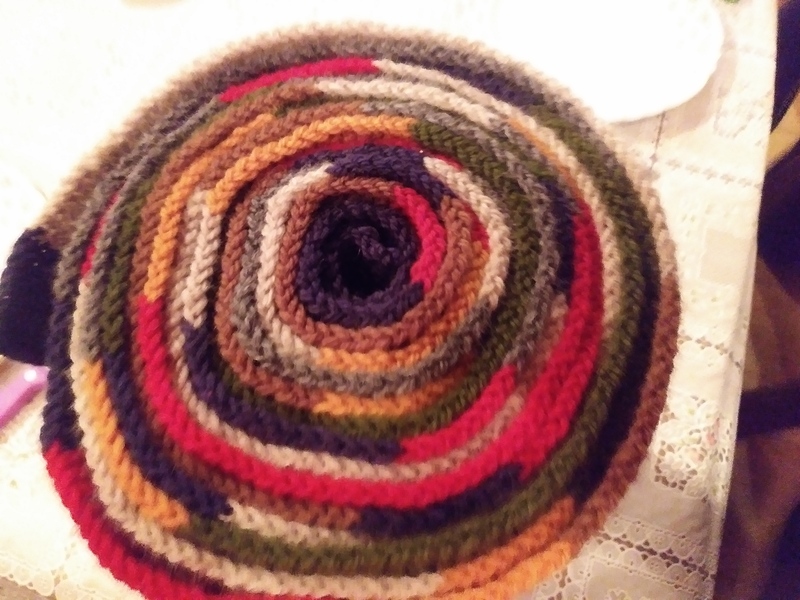 In Which We Vow To Knit Smarter As you can see, I finished the first Fourth Doctor Scarf. I promise the recipient isn’t always as grumpy as he appears here. There have been a few shake-ups this week, and we’re all kinda trying to roll with the punches. You’ll note that I’m keeping my face out of this blog post. Here’s a picture of the giant scarf roll. This is a picture of the other side, and the proof that I need to knit smarter. That, my friends, is 104 ends that need weaving in. 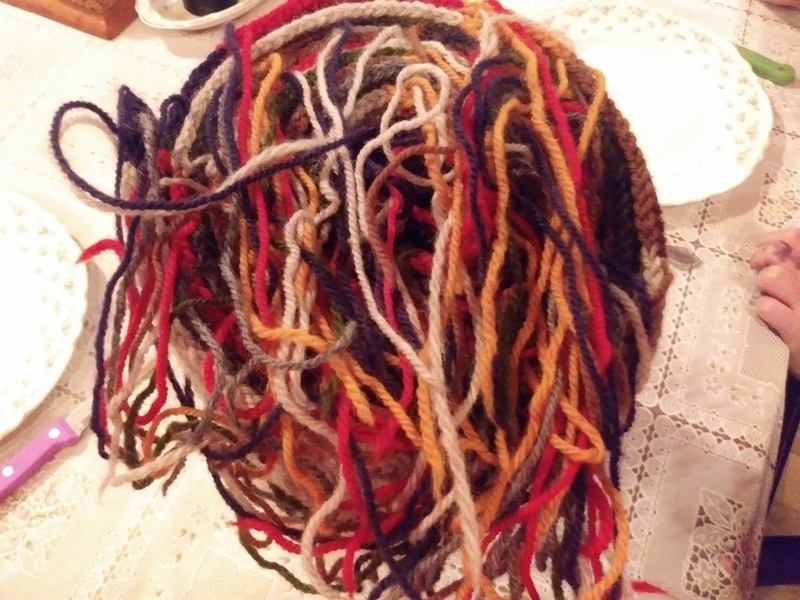 And you can’t even see the ones in the work itself where the yarn ball ran out in the middle of a stripe. Oi! Here’s 18 feet of jumbled up finished scarf. There’s really no way to get a picture of the whole thing laid out. 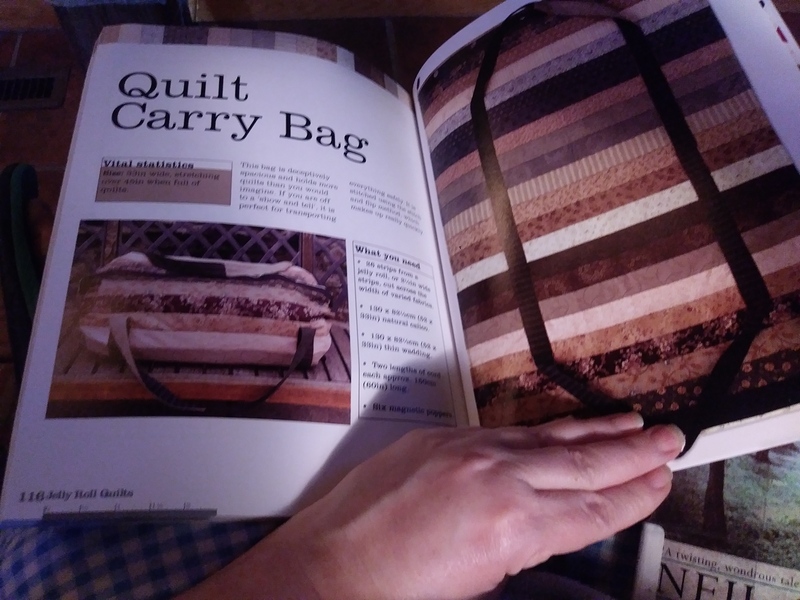 I started a new book, third for the year; and picked my in-between project. I’ll be working on this until February 1st: I’ll start it tomorrow and may or may not get it finished by Wednesday night. 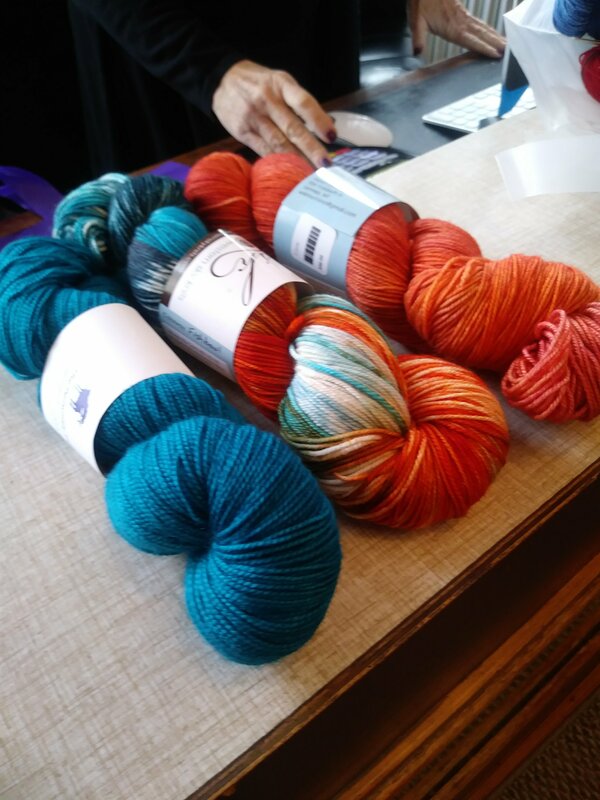 Knitting will recommence Thursday. There was also working, a bit of cooking, and plenty of wine drinking. And that, dear reader, is your weekly update. One day ahead of schedule. Go me! This entry was posted on January 27, 2018, in cass makes things, cass reads, cass takes pictures. This entry was posted on January 21, 2018, in cass goes, cass makes things, cass reads. So. Here I am, with a goal of 52 posts in 2018. There is no way I am going to try to bring you all up to speed on the last however many months it’s been. 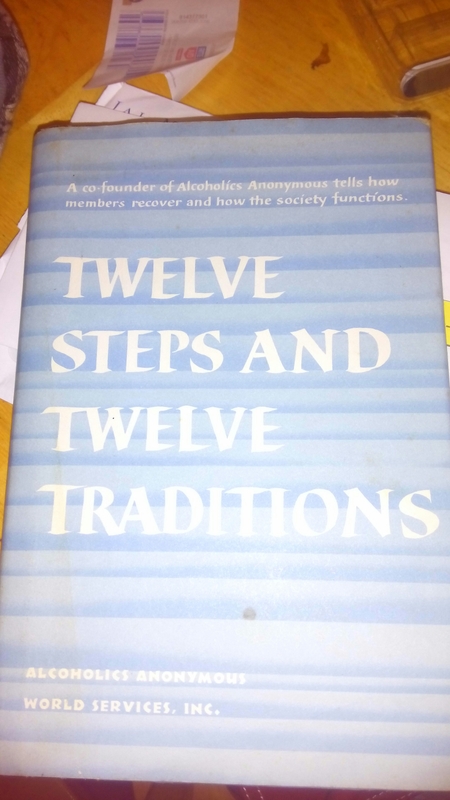 We’ll just start with current stories, the first of which has old antecedents. 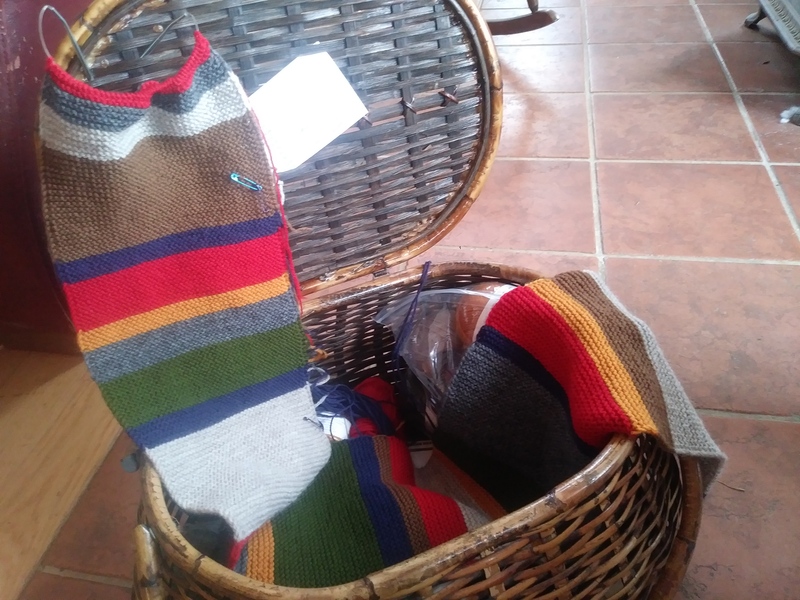 Last Christmas (that would be 2016) I gave out six knitting coupons “for a hand knitted item of your choice.” And one of the recipients said “Anything?” And I said “Sure,” because I love him and am also naïve. 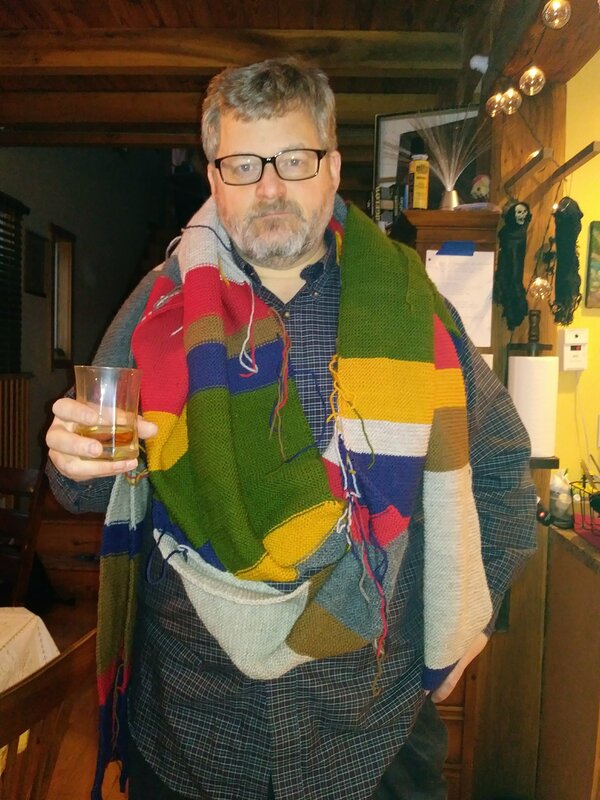 And then he said “a Fourth Doctor Scarf.” And then a second recipient changed her mind, and said she wanted that, too, but not full size. 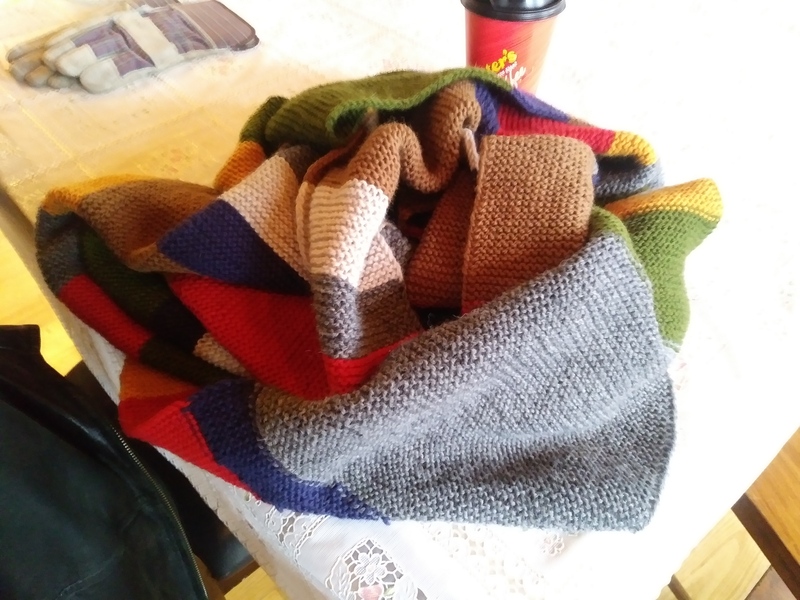 And then I said, “Well, I’ve been meaning to knit one for myself anyway, so three Fourth Doctor scarves it is!” Then I had a thyroid flare which aggravated my carpal tunnel to the point that I could not knit for about 10 months. 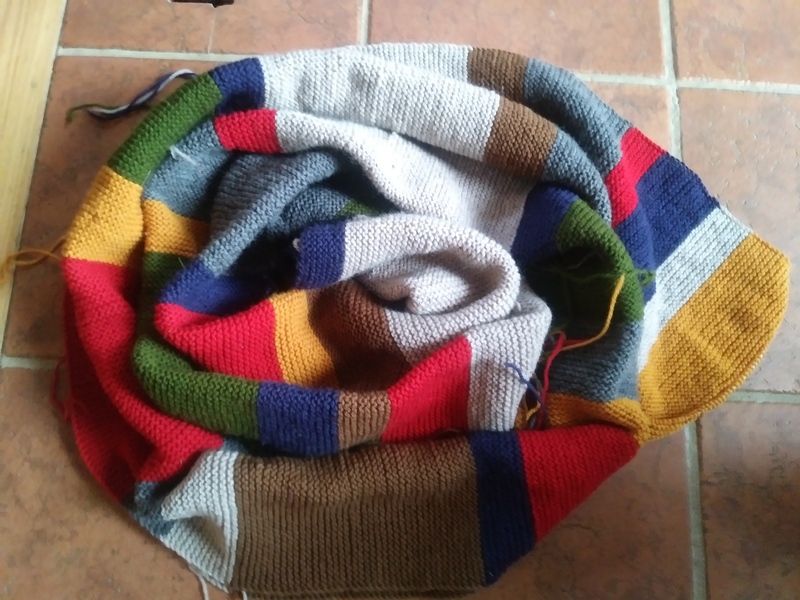 But here, at long last, is the first of three Fourth Doctor scarves approaching the finish line. This one is full size. I’m 1492 rows in, a bit less than 600 rows to go. Goal for the year: 12 finished pieces, six for others and six for me. General craftiness goal: At least 30 minutes on five of seven days. Look at me go: SMART goals in my personal life. You’d almost think I write a lot of treatment plans or something. Like a Social Worker. 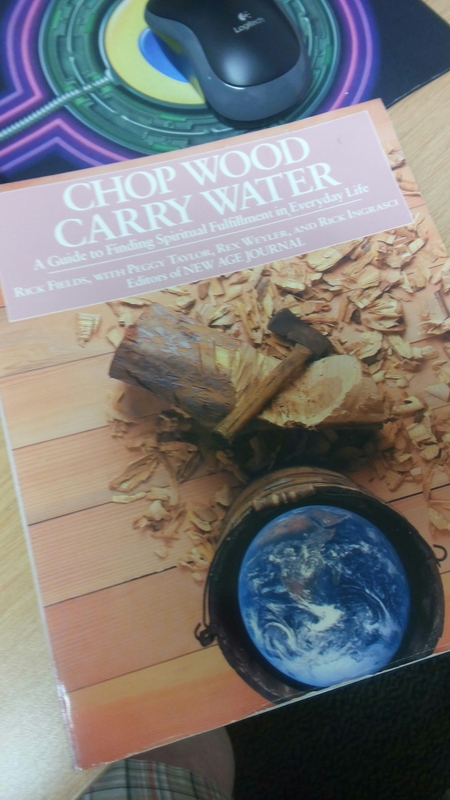 This is what I am reading. 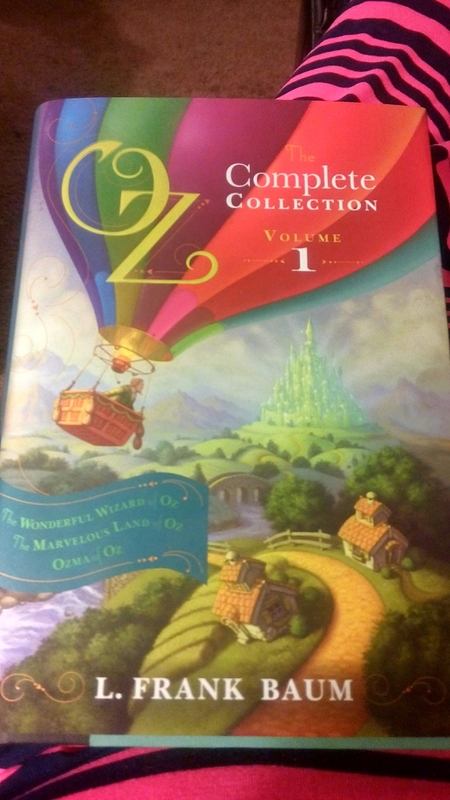 I bought two copies of this book, one for me and one for Sarah. 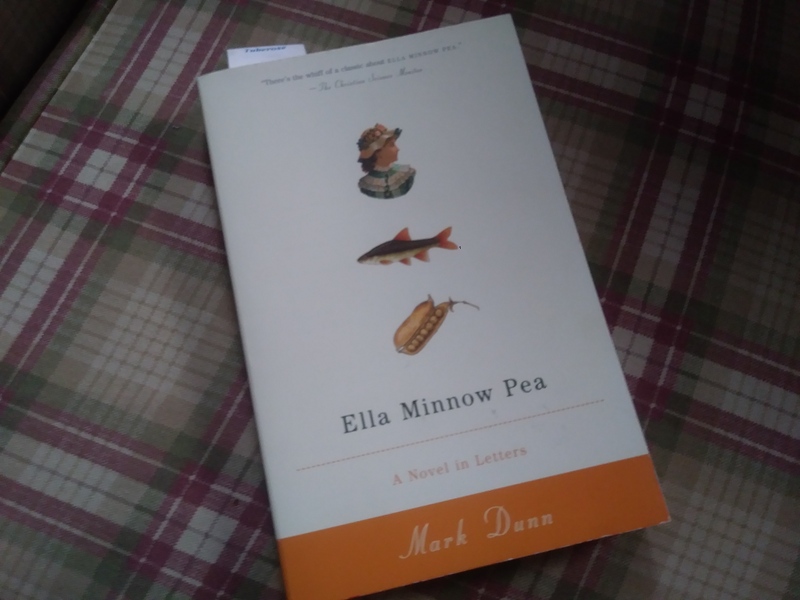 We’re trying again to start a long distance book club, since she’s moved back to North Carolina, and this book looked fun. And it is! I’m sure she’s finished by now because she reads much faster than I do. 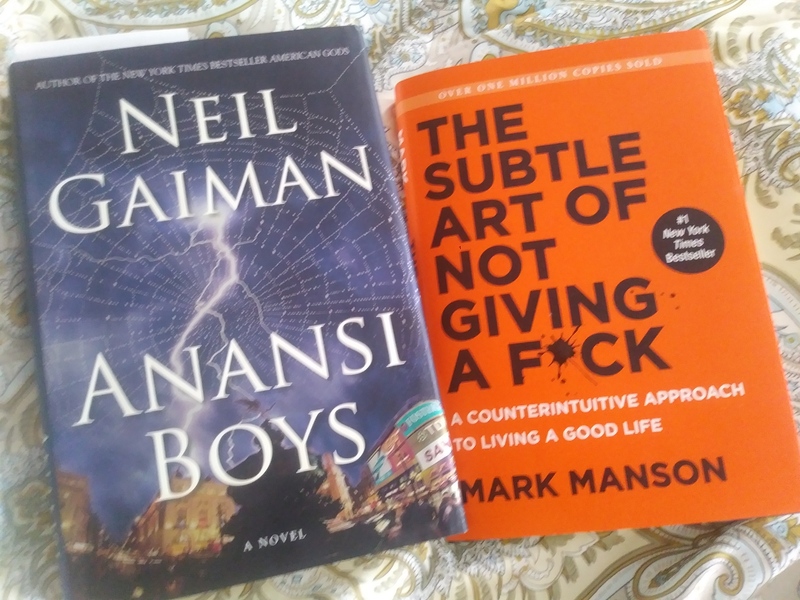 I’ve finally accepted that I just don’t have the liberty to sit for hours and read on a regular basis, so I have cut my reading goal to an achievable 12 books this year. A long way for my 50+ days, but more realistic. Again, I aim for 30 minutes a day on five of seven days. And this was the highlight of the week! We attended the Midwinter Night’s Dream Masquerade Ball last night. 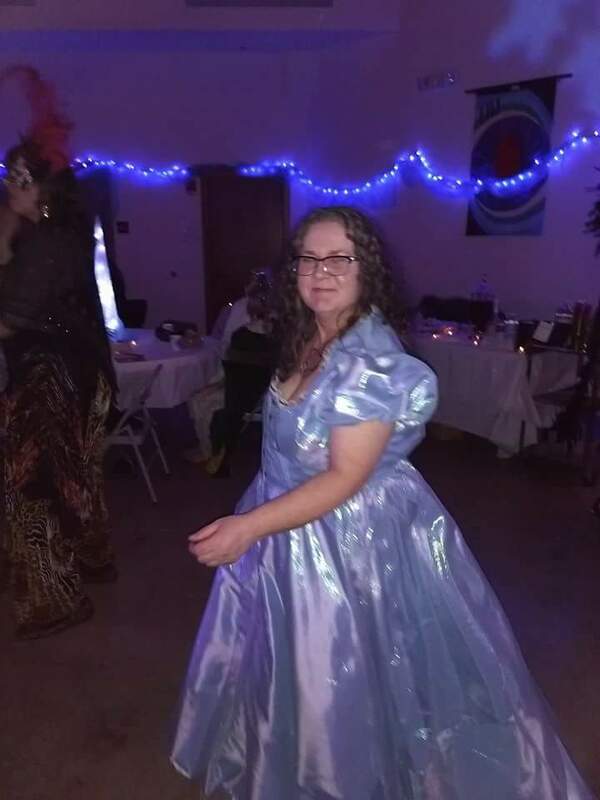 Here I am dancing, dressed as Tim Burton’s Alice in Wonderland. I somehow managed to lose about 5 pounds between the time my dress was fitted on Wednesday morning and putting it on for the party Saturday night. No lie. Not complaining, mind you, but it is a bit of a seamstress’s nightmare. 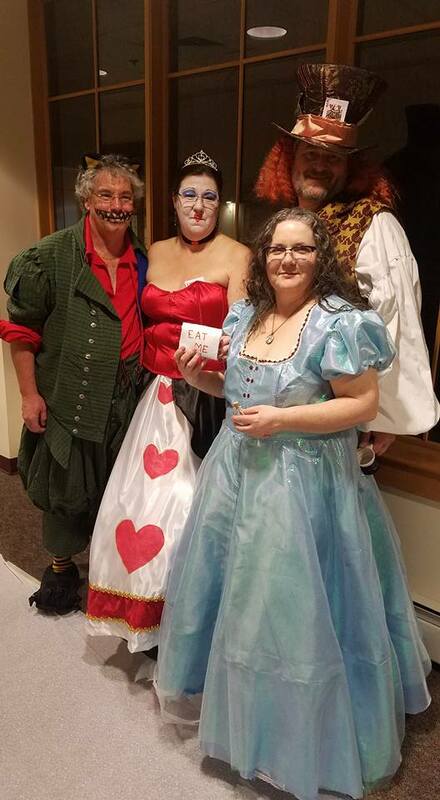 Oh, I said we: Here I am with The Mad Hatter, The Queen of Hearts, and The Cheshire Cat. It’s best to start them early, and Santa brought the entire set. He’s such a wise fellow. 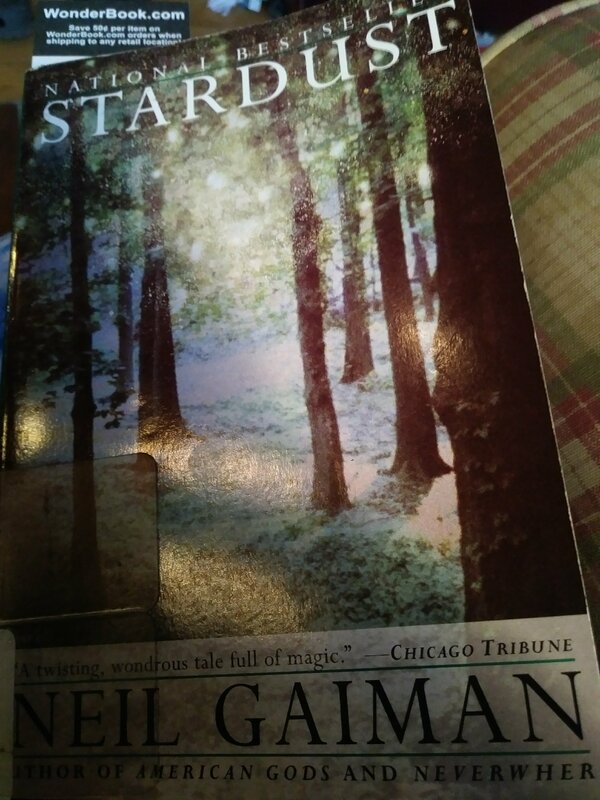 This entry was posted on January 18, 2016, in cass reads. 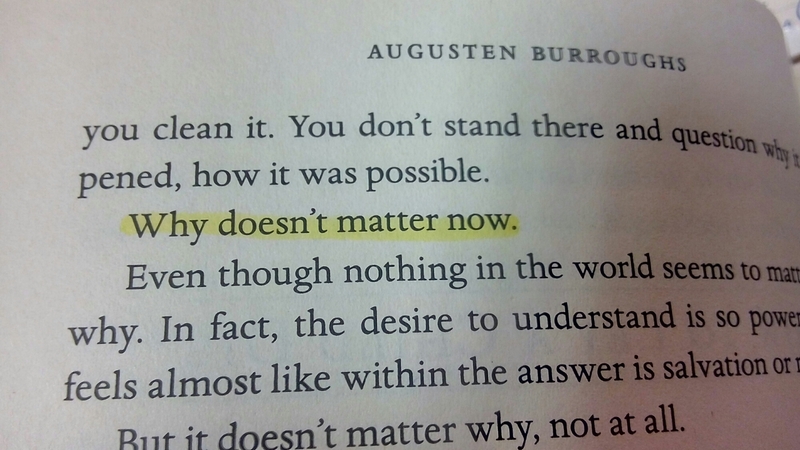 That was the other thing I did yesterday – – borrow a book. This entry was posted on December 28, 2015, in cass reads. This entry was posted on December 21, 2015, in cass reads. For the job where they still haven’t given me any work to do. I’m taking it with me on Wednesday. This entry was posted on December 14, 2015, in cass reads, cass works.